Finahub Official Blog: How to make sure your bulk / transaction email reaches your users? How to make sure your bulk / transaction email reaches your users? Here we are going to talk about how you can improve the email delivery to your clients. Business houses use various services to send emails. But none of them are guaranteed to be delivered to the inbox of the clients. We need to make sure your emails are not reaching user's SPAM bin. 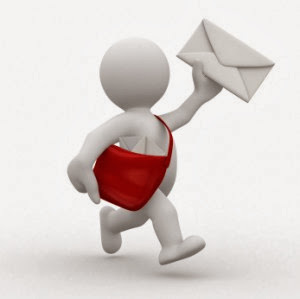 Following are some steps which will definitely improve your email deliverability. Never ever use Gmail, Hotmail or any generic domain to send emails to clients. Yeah, many will be tempted to do so as they are free. There is a good chance your email getting marked as spam if you try sending too many emails from this kind of personal email domains. Also, there are some limits set by the service provider which will limit the number of emails you can send in a given day. Choose a bulk email provider and configure your domain with them. Once you choose your domain to add SPF record to your domain, which will tell the ISP that which IP addresses or domains are approved by the domain administrator to send emails. SPF records are text DNS records added on your domain admin panel. Example of SPF record: example.com. IN TXT "v=spf1 ip4:192.0.2.0/24 ip4:198.51.100.123 a -all"
If your bulk email provider supports DKIM signature configure it for your domain. This will make sure each email sent by you are signed by your domain. This helps ISP's and spam filters to be certain that the email is from an authorized sender for the domain and hence deemed legitimate. Make sure you add a unsubscribe link at the bottom of your email. This is to enable users to unsubscribe to your emails. Make sure you don't send further emails to those users who unsubscribe. Many SPAM filters will filter out emails which don't have this link. There is a good chance that some emails in your list are invalid. This will cause the emails to these accounts to bounce. There is two kind of bounce, hard bounce, and soft bounce. You should never send further emails in case of a hard bounce. A hard bounce is caused by invalid email domain, invalid mailbox etc. Soft bounces are temporary bounces caused by mailbox full or a network error with the client email provider. If an email addresses soft bounces for many times you should remove that email from your list. Sending too much bounce emails will affect your domain and IP reputation is sending emails. Your IP or domain may get blacklisted by ISPs which give you hard time get your emails to send. You will get a notification when someone marks your email as SPAM. Never send further emails to that email address once the user marks you as a spammer. This will land your IP or domain in spam email blacklists. Make sure you check the SpamAssassin score of your email and improve it if needed. SpamAssassin is a mature, widely-deployed open source project that serves as a mail filter to identify Spam. SpamAssassin uses a variety of mechanisms including header and text analysis, Bayesian filtering, DNS blocklists, and collaborative filtering databases. Various online services like http://spamscorechecker.com/ will help you check the spam score of your email. We hope these steps helped you improve your email delivery. Write to us, info at finahub.com, if you have any comments.